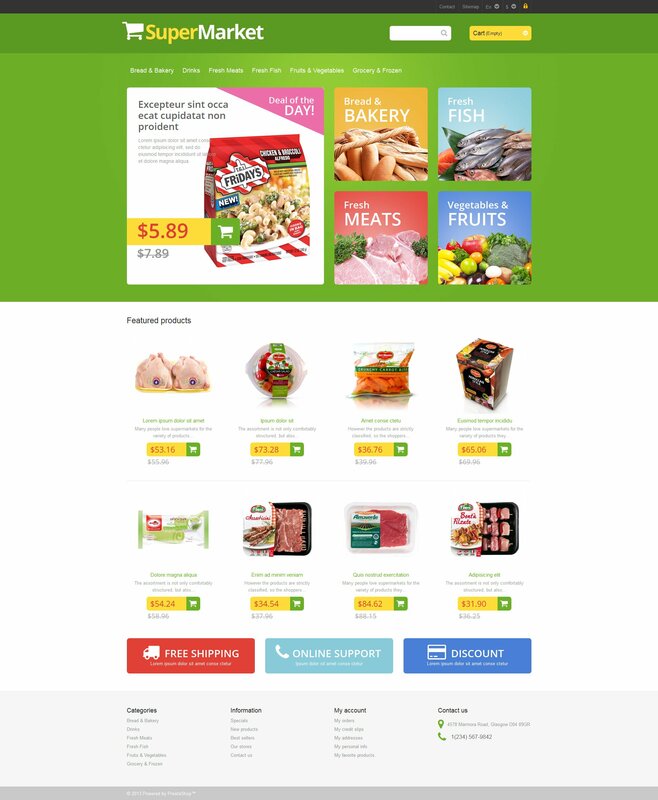 Online shopping becomes more and more popular every day, thus, your supermarket will have good traffic, especially with trendy design like this. Green and yellow colors are good for food stores as they are associated with natural origin of the offered products. Promo section on top of the page shows deals of the day and facilitates the navigation. Featured products look even more delicious over the white background.